The mediums of entertainment such as books, paintings, music, plays, movies and more aim at entertaining the end-users reaching their heart and soul. But at the same time they do have an essential responsibility towards the society too that needs to be accepted and worked upon at the crucial times. Putting it differently, these mediums and their representatives should ideally entertain as well as enlighten their huge following at times, bringing forward the social issues that generally remain undisclosed, suppressed or deliberately hidden by the ones in power for their own selfish reasons. 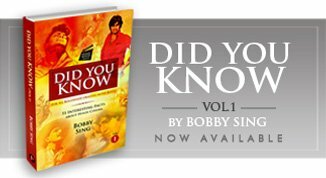 Besides, after achieving a decent amount of success in his or her life, a celebrity should always think in terms of ‘Giving Back’ to the people - to the society, fulfilling his important responsibility as a fellow traveller on the path, a fellow human being. Working on the same thought process, Aamir Khan made a major difference in his field of entertainment in the year 2012 and literally surprised as well as shocked every single person in the country with his ‘actual reality show’ SATYAMEV JAYATE and its alarmingly moving first episode that came as something entirely unexpected. 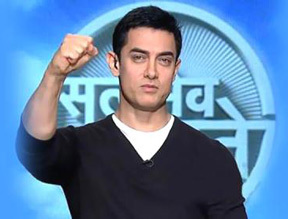 Hitting it right on the spot, exposing the most conservative and lesser-discussed topics of our personal relationships and a questionable social structure, the team won huge praises from both the people and the press (including the critics), and Aamir became the first prominent celebrity from the Hindi film industry to host a TV programme with a motive of ‘spreading awareness’, asking for a urgent social change, leading from the front. A section of media did try to criticize the attempt tagging it as an exploitation of people’s personal tragedies, emotions and harsh secrets of life, as a mere talk show specially devised for higher TRPs and instant monetary returns. But that couldn’t gain much support from the general public and Aamir got widely appreciated for fulfilling his social responsibility of being one of the biggest celebrities of the country thinking like and about the common man. However, nothing significant happened post the successful airing of its first season, apart from the news of some local social movements in the smaller cities. Plus there came no revolution in the society or country that watched it with a spirited enthusiasm. This ‘not so productive result’ became the cause of a louder criticism of its second and third season aired in 2014 that strongly raised the question: Is this program really making any difference or is it just another ‘TV reality show’ made for gaining over the competitors fighting the channel-war?. Another logical counter against the show remained the timing of Aamir’s new film releases (TALAASH and PK) coming just after the show’s first and third season, in 2012 and 2014 respectively. As a result, both the latter seasons did work but not as effectively as the first shocking season which was a complete winner. And then it all became calm as usual post the show went off air without resulting in any substantial ground success or any social revolutionary movement among the general public. Today in 2018, it’s about four years since the last season of SATYAMEV JAYATE was aired in the final quarter of 2014. And as feared or speculated by many, it is now simply remembered as yet another ‘Eye-opener Reality TV Show’ hosted by one of most followed celebrity of the country, making not much of a difference in either the people or the society, with all the major social issues remaining as it is or may be existing in a much bigger measure than ever before. Hence, though the show might not have been successful in making any major difference in our personal lives or the society as a whole (as per its strong projection), the awareness drive is still continuing in the form of Paani Foundation, which certainly deserves praises and applause for Aamir Khan and his team working for the cause of water-scarcity in the remote regions of Maharashtra.